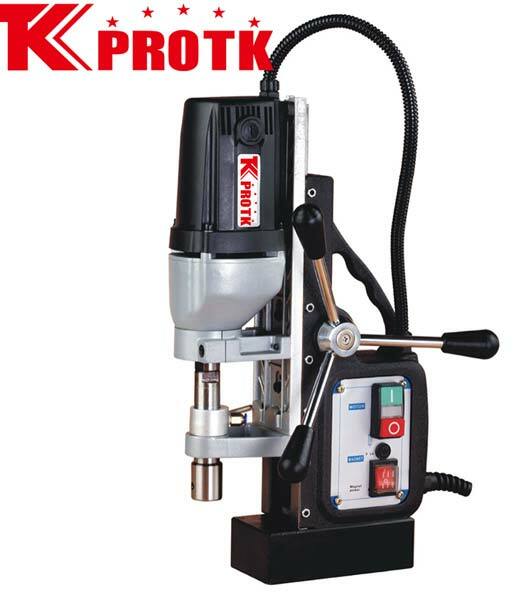 Based in Yongkang, China, we are a reliable manufacturer, exporter and supplier of Magnetic Drill (TK-35). We offer this Magnetic Drill with a cutter depth of 50mm and twist drill of 115-13mm respectively. The Magnetic Drill comprises of a 19mm Spindle Holder. With a magnetic adhesion of 13000N and no load speed of 595 RPM, this Magnetic Drill offers high efficiency. The net weight of this Drill is 13.5 Kg and the gross weight is 17 Kg. We offer these Magnetic Drills in iron and plastic package size of 48*15*37 cm and 57.5*17.5*46cm respectively.